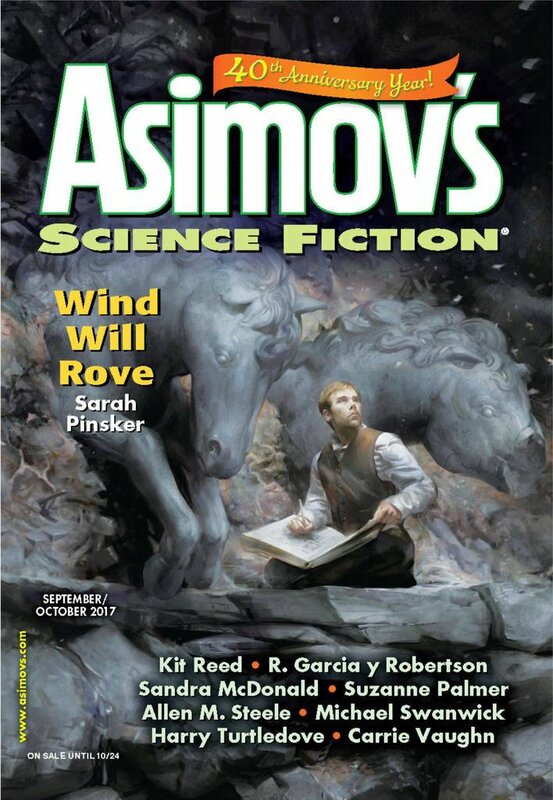 "Wind Will Rove," by Sarah Pinsker [bio] (edited by Sheila Williams), appeared in Asimov's Science Fiction issue 09-10|17, published on August 17, 2017 by Penny Publications. Pro: There are a couple of very interesting themes here. Why do we bother learning history that doesn’t apply to the world we live in? Why learn to play old pieces of music rather than creating new ones? How can life be fulfilling if you expect the future to be just like the past? Nelson’s view, that the past doesn’t matter at all, is clearly wrong, if only because people don’t change even though our environment does. But Harriet’s view, that anything preserved from the past is a sacred thing to be cherished and memorized but not changed, seems almost as bad. A vision of a future of centuries with no change is a depressing one, especially to a young person. Ms. Clay has put a lot of her life into learning how to play certain old songs exactly right. The fact that she gets a thrill out of creating something new from one of her favorites shows that she’s found the path between Nelson’s and Harriet’s views. Even if she can only articulate it in music. Beyond that, this is a really great setting: the vast generation ship out of contact with Earth and with its own past. Con: There’s no action and no tension in the story. It’s hard to believe they couldn’t reestablish contact with Earth. They probably wouldn’t have the bandwidth to replace the audio-visual parts of the database, but they could certainly get all of the text they wanted. I loved this story. I recalled it when I heard an interview with Adam Gopnik, and he said "that it’s our task as people to find new ways of rearticulating our sense of spiritual practice, our sense of the essential, the necessity of irrational ritual, in ways that are adjusted to their [our] time. That seems to me to be one of the essential themes: how we give our lives meaning through some mixture of re-enacting history and living our present experience. Great read! Can see why this one's gotten a lot of attention -- Locus List, Clarke's Year's Best, Nebula Finalist. Lovely story about stories, music, and stories about music. This is a serious literary piece, or a think-y SF story (as opposed to an action story). I had to read it in multiple separate sittings, and the themes required some thought. Firstly, if you are getting bored with it, read to and inclusive of Nelson's bit. Nelson appears about a third of the way into the story, and gets progressively bratty, but he has a point. Then decide. I read to the end and it is a lovely story, and it hits you with the ending. If I was born on a ship like that I'd want to know why, and what the ancestral home world was like, but people should form their own new sub-culture as well, and adapt things to suit their environment. I have zero knowledge of music but some appreciation for history, and this story worked for me. I actually played the violin when I was younger so that added something to the story for me. 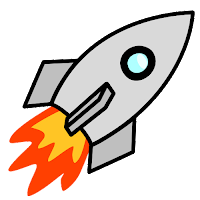 Here's my take at Goodreads, with more links. Nothing seems to happen here. At one point, the author hints at a coming catastrophe, but it never arrives. I wish it had. It would have made for a better story. Some of the musical elements were interesting, but I couldn't relate to the characters' obsession with preserving old fiddle tunes. Even by sci-fi standards, it seemed like a stretch. It's a literary story in an SF setting, I'd say. Someone at a writing workshop once told me that the biggest thing that differentiates literary writing from mainstream and genre is that in literary writing, nothing much changes except for the protagonist's understanding of the world and his/her place in it. Genre and (to a lesser degree) Mainstream stories involve a protagonist trying to actually do something and either succeeding (sometimes in a different way than original imagined) or else failing heroically. The stakes tend to be especially high in SF stories, so a literary story in an SF setting is a rare bird indeed. I'm surprised this one has been so popular, to tell you the truth, although I did like it personally. That sounds like an accurate description of the difference between literary and genre fiction. And it would help explain why this story fell flat for me, since I don't really care for literary fiction.